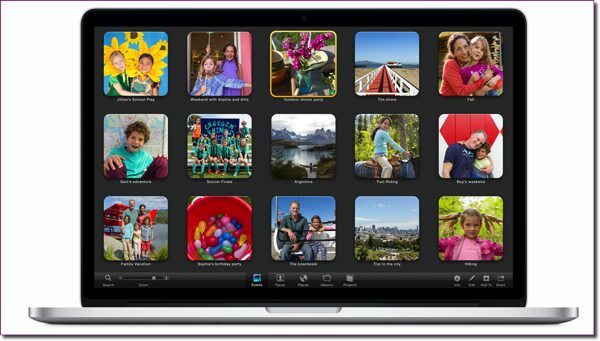 iPhoto is Apple's easy-to-use but essential and free photo browser, manager and editor. 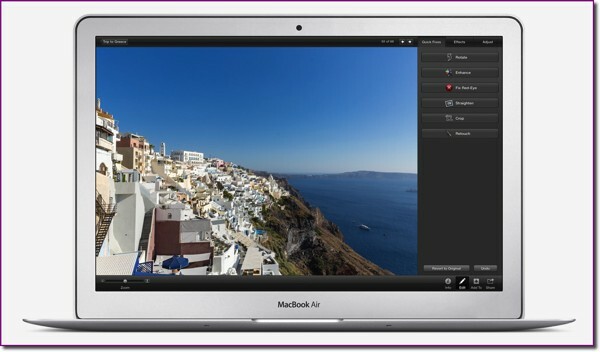 iPhoto helps you easily manage and edit your digital photos in exciting ways. You can easily share your favorite memories with family and friends. iPhoto has been with us a long time – since 2002, in fact. As part of the iLife suite of productivity software, iPhoto has evolved nicely from a simple photo browser with minimal editing capabilities in the early years, to a more capable photo asset manager with some fairly decent image editing tools for an entry-level application. iPhoto's original goal was to provide a simple yet powerful solution that would address the problem of having tens of hundreds, if not thousands of disorganized and displaced digital images strewn all over hard drives, CD discs, and yes, even floppies. 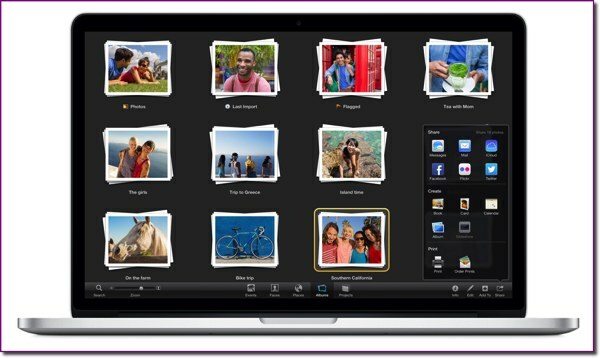 Additionally, iPhoto was a one-stop shopping solution for importing images, simple cropping and printing of photos. iPhoto was to be the Digital Shoebox of safe photo storage and organization. The end result was that iPhoto was not just about importing, editing, and printing photos, but also saving, organizing, and sharing them. iPhoto was designed to manage the entire digital workflow for your photos. The good news is that iPhoto still lives up to the promise. In fact, over the years, and across all the revisions, iPhoto has maintained its digital workflow tasks quite adequately. More importantly, iPhoto has evolved those tasks nicely. Since its introduction in 2002, iPhoto – along with its iLife siblings like iMovie, iTunes, iDVD and others (some of which have come and gone over the years) – have enjoyed several major suite-wide upgrades. The most recent of these was iLife '11, introduced in October 2010. Since then, there have been a few occasional incremental feature and stability upgrades to bring iPhoto's compatibility in line with new technologies like OS X system enhancements, and the introduction of iOS, iCloud, Photo Stream and AirPlay. 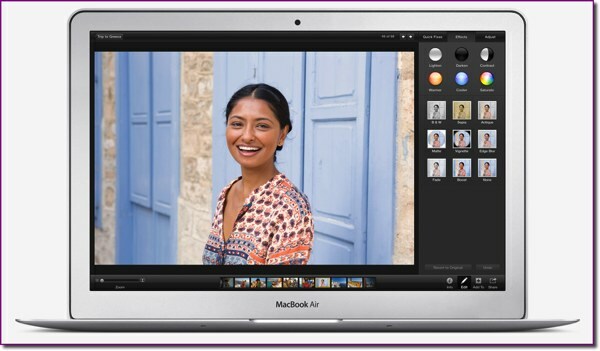 The latest of iPhoto's long string of upgrades and updates is iPhoto '11 version 9.5, introduced along with OS X 10.9 Mavericks on October 22, 2013. The new version of iPhoto is practically identical to it's immediate successor, iPhoto '11 version 9.4.3. There are hardly any additions to all the visual refinements introduced in the original iPhoto '11. However, there are notable stability and performance improvements under-the-hood. In this article, I point out a couple of long-standing features have been dropped from the latest version. I wouldn't say these are showstoppers, but you ultimately decide if these are critical for you. What's New in iPhoto '11 Version 9.5? Support for OS X 10.9 Maverick's new 64-bit architecture. iPhoto has replaced its reliance on Google Maps with Apple Maps to display photo locations. iCloud Photo Sharing is now supported, including the ability to post videos to shared photo streams and the ability to have multiple subscribers contribute to a shared stream. Adds support for iOS 7 camera filters applied to photos imported from iOS devices. Privacy settings can now be managed when sharing photos from iPhoto to a Facebook Timeline. Videos up to three minutes long can now be shared to Flickr. There are several bug fixes as well as stability and performance improvements. These can be reviewed at the Mac App Store Preview website. Let's take a closer look at iPhoto's feature set. iPhoto veterans might want to skim through the material that follows. If you fall into this category, you might discover an aspect of iPhoto that you were not aware of. If you are an advanced amateur or professional photographer, where it would be more appropriate to use heftier organization and editing tools, like Apple's Aperture or Adobe Lightroom, you may still find some capabilities in iPhoto useful in your business or your personal photography. When you first open iPhoto, a library is created for you inside your Home > Pictures folder. This will become your default personal iPhoto Library. It's a special container that will eventually hold all of your photos, videos and other resources that iPhoto needs. Photos and videos are imported into your iPhoto Library in a number of ways. The traditional import method is via a direct connection between a digital camera or memory card reader to your Mac via a USB cable. iPhoto launches, shows you the photos you can import. You then choose one, some or all photos, and iPhoto does the rest. Nowadays, you can also import in a similar fashion from any attached iOS device. Other ways to populate your Library include importing images from local or network storage devices, from email, from your iCloud Photo Stream, from shared Photo Streams, as well as directly from your Facebook and Flickr libraries. When your photos are imported, they’re automatically organized into Events. iPhoto lets you manage events and define their timeframe and grouping. Your iPhoto Library does not consist of a proprietary database. It's actually a special container that holds all your imported image files in their original, pristine condition. Ultimately, all your original files can be accessed, as long as they haven't been completely deleted from your Mac. Even if your images have been edited or changed in any way, your original image files are always there. More on this in a bit. Events: As mentioned previously, upon import, iPhoto groups photos into events based on the date and time that they were taken. How iPhoto determines the timing of events is customizable in iPhoto Settings. Events can be merged or split apart, and photos can be moved between events. Faces: iPhoto was one of the first image management applications to include face recognition capabilities. 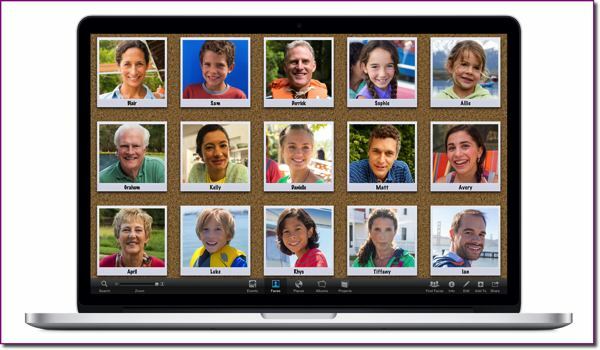 The Faces feature in iPhoto helps you find and name the photos of your favorite people, which then appear on your Faces cork board. Yes, skeuomorphism is alive and well, even in the latest Mavericks version of iPhoto '11. At first, I thought Faces was just a gimmick, and I didn't expect to use it much. I was wrong; I find this feature quite useful. Places: So many of our electronic gadgets now have the capability to keep track of and record our location on this planet. Cameras and smartphones are no exception. Location data is recorded with other metadata associated with the photo. 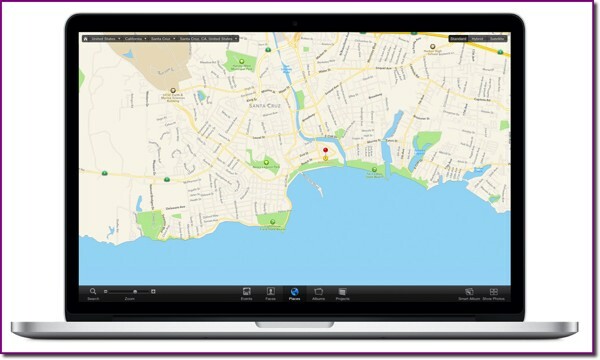 iPhoto then uses the location data to plot photos onto a world map – now based on Apple Maps. If your camera does not have GPS capabilities, iPhoto lets you assign locations manually to your photos and still enjoy this useful feature. Flagging, Rating and Tagging: You can flag photos to temporarily mark them. For example, you could flag a set of photos in the same way that you might sort through a stack of snapshots, setting aside your favorites to get reprints or put in an album. You could also use flags to cull out the poorly shot images – and you should... with impunity! Another form of flagging is Rating, where you can assign from 0 to 5 stars to a photo to indicate if a photo is a keeper. You can use photo ratings to help you automatically create albums or to sort and browse your library. Keywords: These are special labels you can assign to your photos so that you can have iPhoto quickly find all your photos that fall into one or more specific categories. Keywording images is a valuable tool to any photographer who needs to fine-tune the organization of thousands of photos in order to facilitating pin-point searches. Unfortunately, iPhoto's keywording feature continues to exist in a vacuum. This has been, and sadly still is, my biggest complaint with iPhoto since day-one. Keywords in iPhoto are for use by iPhoto only. They are tracked separately and are not written to image file metadata. Therefore, keywords are not transferrable to other photography applications that support keywording. This is regrettable, as one of the welcome enhancements just introduced with OS X Mavericks is the system-wide support for Tags. The word "tag" is frequently used interchangeably with "keyword." It would have been nice if iPhoto's keywording were compatible with Maverick's new file tagging scheme – and more importantly, with the OpenMeta standard being adopted by Apple and many other software developers. Albums and Smart Albums: If you are familiar with iTunes playlists, iPhoto Albums serve a similar function. An album is a collection of photos you select from your library and arrange in the order you want. Remember the albums of printed photos you or your parents used to assemble and store on a bookshelf or coffee table? Well, this is the same thing, only digital. Smart Albums behave like Smart Playlists in iTunes or Smart Folders in Finder. Think of a Smart Album as a saved search. This smart container mechanism is a very powerful tool that is available in many Apple and third-party applications. 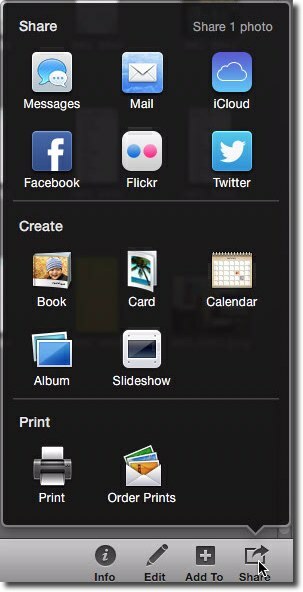 iPhoto updates Smart Albums for you as your library changes, based on criteria you choose. For example, you could create a Smart Album only containing: photos taken with a specific camera, photos having specific keywords (tags) assigned to them, photos taken within a certain date range, photos of specific groups of people, and much more – all customizable by you. Finding and Sorting: You can quickly find any photo in your iPhoto Library by searching on its keywords, date, or star rating, by the geographic location the photo was taken or the people in the photograph, or by associated text, such as the photo title or description. iPhoto displays your photos in the order in which they were taken, from oldest to newest. They can be rearranged in your photo library or in an album by sorting them. Unfortunately, you can sort by only one criterion at a time. For instance, you can sort all the photos in an album by date, and then re-sort them all by title, but you can’t sort the photos by date, and then by title within date. Deleting and Restoring Photos: As you might expect, you can delete one or more photos from your iPhoto Library. Be sure to heed iPhoto's warnings though, as deleting a photo from your Library is a step away from deleting that photo entirely from iPhoto. Deleted photos are sent first to iPhoto's Trash which can be seen in the Sources list – the column on the left. The iPhoto Trash is a mixed blessing. On the one hand, Apple gives you an easy out should you accidentally issue the command to delete a photo from your Library. After a brief period of self-flagellation, you can simply select Trash from the Sources list, and move the photos back to your Photos Library or Albums. On the other hand, I find that most typical iPhoto users I encounter believe that deleting photos in iPhoto is all they need to do to really delete photos completely from their Mac. Not so, as photos will actually remain in iPhoto's trash forever, consuming more disk space as you delete more photos over time. That is, unless Empty iPhoto Trash is selected from the iPhoto menu, in which case they then end up in the OS X system trash. Even if your photos do make a successful trek to the system trash, they can still be restored from oblivion by simply opening the system trash and reimporting the photos into iPhoto. However, if you pull that trigger to empty the system trash, or have it emptied by other means, your only recourse to restoring your precious photos is to resort to your backups. Before covering this important topic, it's important to understand that editing images in iPhoto is non-destructive. iPhoto makes a duplicate of your image before you start making any changes to it. All modifications will be made to the copy. No matter what you do in your photo-editing process, you can always revert back to the original – whenever you wish. Over the years, Apple has been enhancing iPhoto's image editing capabilities to the point that we currently enjoy fairly advanced features considering that iPhoto is an entry-level photo editor. The first version, back in 2002, simply offered cropping and a few paltry tone and color conversion tools. With iPhoto '11 you can now edit using fairly sophisticated tools to finely adjust exposure, contrast and saturation. These capabilities give you plenty of ways to give your photos that extra visual punch that makes them stand out above and beyond the mundane, unremarkable photos that most snap shooters take. There are also tools that let you do some image fixing. Don't get me wrong… you should always strive to take the best image you can using proper exposure, lighting and composition techniques. However, for those times when you don't get the shot just right, you can do your repairs using these and other iPhoto tools. It's important to understand that iPhoto automatically saves changes to photos, albums, slideshows, and projects as you work, so there’s no Save or Save As command. You can undo some or all of the changes you made to a photo at any time. With iPhoto you can easily compare two to four similar photos. You can do so side by side to see which one you like best. Or, while you’re editing a photo, you can compare the edited version with the original to see if you want to keep your changes. When ready to do some editing, iPhoto offers three editing modules that are easily accessible by clicking on corresponding tabs located at the top of the main program window. Let's take a closer look at these. Quick Fixes: The common corrections that need to be tackled first are found in this module. Here, you can crop, rotate, and straighten your images. With the crop tool, you are given the option of choosing from several presets – common sizes typically used for printing. There are crop presets for popular print sizes and ones for aspect ratios destined for iPhone, books, HD widescreen, DVD, postcards as well as square formats for the Instagram aficionados. Of course, you also choose to custom crop as well. Additionally in Quick Fixes, iPhoto can eliminate the dreaded red-eye from your photos. There is also a quick Enhance tool where, with a single click, iPhoto analyzes the photo and, if needed, boosts brightness and contrast and attempts to fix any color casts. Finally, you'll find the Retouch tool that lets you fix blemishes and remove other small marks. Effects: In this photo editing module, you can apply special effects to your photos by using one or a combination of several single-click editing options. These are the typical effects found in many software apps on personal computers as well as smartphone cameras. You can do very simple conversions to black & white, sepia and antique. You can apply vignettes and edge blurs, and you can fade or boost color saturation. Finally, in Effects, you can darken, lighten, change contrast, and shift color casts between warm and cool. All these are quick fixes with not much sophistication and appeal to die-hard photo enthusiasts. They would prefer the next module. Adjust: In this module, you'll find the real photo editing meat-and-potatoes. Here you find some surprisingly advanced tools for an entry-level photo editor. When I first noticed these tools a few years back, it was an indication that iPhoto had matured to a point beyond being just a photo organizer with a few rudimentary editing tools thrown in for good measure. Shutterbugs can now do some fairly significant photo editing and fixing without having to resort to more expensive applications, such as Adobe Photoshop Elements. The Histogram and the Levels sliders are advanced tools that let you finely adjust the shadow, mid-tone and highlight areas of an image. 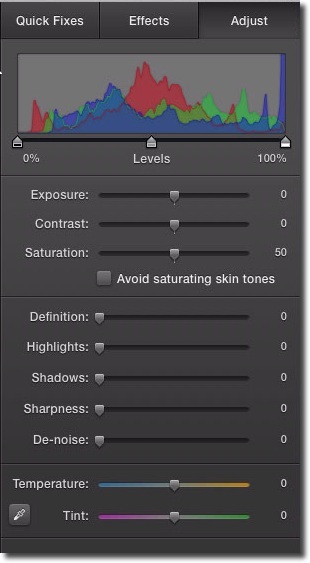 Controls for adjusting image Exposure, Contrast and Saturation in fine increments. The Definition control helps improve clarity, giving your photos that extra pop that is often lacking. This is one of my top go-to tools. The Highlights and Shadows controls are also advanced controls that help reduce the brightness of highlights and add brightness to shadow areas in order to help bring out hidden detail. There is a Sharpness tool to not only add crispness to a photo, but to soften as well. The De-Noise control brings down the digital noise (think of graininess) that can often appear in high-ISO images and in dark areas of an image, particularly on older cameras. Color casts can be fixed using the Temperature and Tint controls. The Eye Dropper is a great tool used to sample gray or white areas in an image in order to have iPhoto automatically make these adjustments. Of course, iPhoto is nowhere near the level image editing sophistication offered by Adobe Photoshop or even Pixelmator or Acorn, but with its image editing tools, it comes pretty close. iPhoto is not a RAW image editor. RAW photographers will likely utilize applications like Aperture and Adobe Lightroom to edit their images. iPhoto does import RAW format photos the same way it imports any other photos. However, when editing a RAW-format photo, iPhoto edits the JPEG version that is embedded in every RAW image, and saves the edited photo as a JPEG file by default. The original RAW file remains unchanged. Fortunately, iPhoto can be configured via Preferences to send unedited RAW files to an external editor, such as Photoshop. iPhoto lets you import and watch video clips that you shot using a digital still camera or iOS device. As for editing, you can trim a video clip in iPhoto. You could, for example, cut a clip at the point you want the movie to end. Trimming a video clip doesn’t delete footage, it just divides the footage into two clips. Everything these days is about sharing the many aspects of our lives. Our photography is a window into much of who we are and what we do. As iPhoto has evolved to keep up with the advancements in Internet-based communications and social networking, photo sharing is up there in importance. With iPhoto, sharing photos couldn't be simpler. The latest version unifies the former Share and Create categories into one cohesive category simply called Share. Sharing via simple messaging and email, your iCloud Photo Stream, and your social network accounts on Facebook, Twitter and Flickr. Creating rich slideshows accompanied by music from your iTunes Library. A full set of themes, transition effects, settings and controls are included to add interest to your slideshows. You can share your slideshows by exporting them to video formats that support iOS devices and other display media. 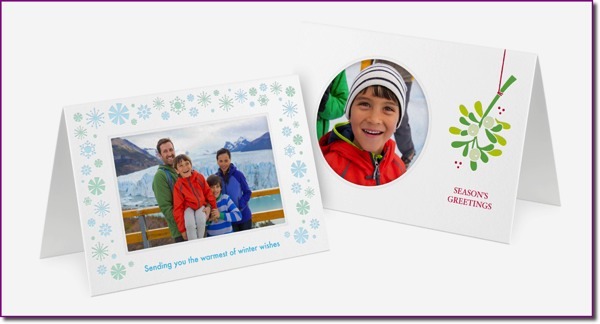 Creating shareable iPhoto Projects like professionally printed photo greeting cards, books and calendars. The cards are of excellent quality. While Letterpress card printing was discontinued for iOS devices earlier this year when Apple dropped its Cards app, these beautiful photo cards are still available in iPhoto '11. I have been printing books and calendars via Apple's online printing services for many years, even for professional use. Setting up the layouts couldn't be simpler, while still offering a lot of creative flexibility. There are many similar online services available offering less expensive products, but I find that the quality of Apple's book materials, and color fidelity are above and beyond what other services I've used had to offer. To me, it's worth spending a few extra dollars when it comes to sharing my treasured photography with family and friends. The good old-fashioned, traditional forms of photo sharing – making prints and passing them around or gifting them – are still there in two forms: commercial online printing and home-based printing. By the way, photo prints can be ordered via the Apple online service directly from within iPhoto. Multiple copies of standard size prints, from wallet size to 20 x 30 inch posters, can be easily ordered and delivered right to your door. Printing photos to your home printer is still supported. However, while Apple is touting that one of the new features in the latest version of iPhoto is "a new, streamlined interface for printing," what they don't tell you is that they have also yanked out a significant component of home printing – customizing a print job. You are no longer able to select printing themes with custom borders, customized captioning, or multi-image layouts to name a few. While I don't print photos at home any more, I did like to print to PDF's using these features. All gone now. We only have simple printing to a few preset sizes. Fortunately, customized contact sheet printing is still available. For Mac owners who purchased a new system as of October 1, 2013, iPhoto is one of several Apple productivity apps that are now free via the Mac App Store. Owners of the new Macs, running OS X 10.9 Mavericks, can download the latest version of iPhoto '11 version 9.5 if not preinstalled. For a complete description of this new version use this link to the iPhoto '11 page at the Mac App Store. Owners of older versions of the iLife suite will need to purchase iPhoto '11 at US$14.99 even after upgrading to the free OS X Mavericks. 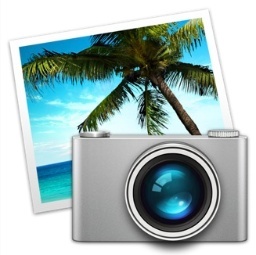 iPhoto '11 version 9.5 requires OS 10.9 Mavericks or later and will run on any Mac that can run Mavericks. While I do use more advanced DSLR image editing and photo management in applications like Adobe Photoshop and Lightroom, I still do use (and teach) iPhoto on a regular basis. I like using it mostly for staging and for organizing all the photos that I take with my iPhone. I also like using iPhoto to create books and calendars for gift-giving – even for photos that I import from Adobe Lightroom. The quality and flexibility of the printed products have improved significantly. I do enthusiastically endorse and recommend iPhoto '11 to all Mac users and typical photography enthusiasts, as well as those who enjoy photographing with their iPhone. The easy integration of iOS devices to iPhoto on a Mac, either directly connected or, more importantly, via iCloud services is a huge plus. For iPhoto users – new and veteran alike – I strongly recommend going through the built-in Help facility located under iPhoto’s Help menu. The documentation there is very easy to follow and fairly thorough. Having endorsed iPhoto '11, I have to reiterate my disappointment that Apple has not given us a more up-to-date version that incorporates OpenMeta tagging/keywording. Additionally, while not a big deal, since skeuomorphism is apparently a thing of the past, how about we say goodbye to it for good in iPhoto, too? iPhoto is still the go-to application for the majority of Mac owners – including iPhone-toting Mac users – who enjoy organizing, tinkering with, and sharing their photos. The availability of advanced editing tools, such as the Histogram and Levels will also appeal to the more advanced shooters and image editors. Essentially, this is still the same iPhoto '11 released a few years ago. Local printing features have been dumbed-down. A redesign is overdue in order to appease the skeuomorphiphobes among us. Keywording is still of limited value, and needs to be fully integrated with the new OpenMeta tagging standard available in OS X Mavericks and other software.